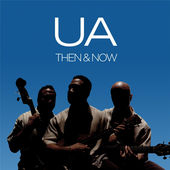 UA (Kale Chang, Afatia Thompson, and Kuhio Yim) first released "Then & Now" in 2003. Familiar Hawaiian standards, they added their own, inventive vocal arrangements to give the songs an R&B feel. This anniversary edition re-release contains two new songs.